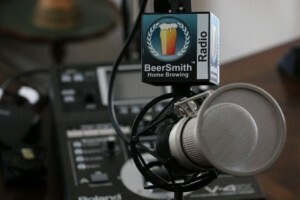 This week Randy Mosher joins me to discuss the second edition of his book “Tasting Beer” as well as sensory evaluation of beer, aroma, judging beer and more. We start with a discussion of Randy’s activities including his two breweries he is partner with. He talks about his new updated and revised edition of Tasting Beer which Randy just published. We discuss the Cicerone program and how they use Randy’s book as a guide for it. We also introduce the concept of sensory evaluation including some of the complexities involved. Randy discusses the vocabulary around beer flavors and how truly limiting it can be. We talk about some of the qualities we look for in a beer. Randy shares his thoughts on taste including the basic ones (sweet, sour, bitter, salty) and the new ones including Umami and Kokumi. He discusses aroma and how aroma and taste get melded in our brains to produce something we call “flavor”. He also explains how the average human can distinguish perhaps as many as a trillion different and unique flavors. We talk about the presentation of beer and how important it is to enjoying a good beer. He provided some advice on tasting and judging beer. We discuss food and beer pairing and how much the food we eat affects the perception of the beer we drink. Randy briefly describes the craft beer revolution and some of the new trends in craft brewing. We talk about his last chapter “A Sip Beyond”, and Randy shares his closing thoughts.